We’ve all had major circumstances such as a hurricane, flood, cancer, money problems, and more, take over. Even as we live in these challenging moments–in the thick of it all–we can actually learn from these lessons. Having the ability to make a major shift in our lives to solve a problem at hand–with clarity and positivity, is a sign of resilience. Picking up and evacuating, downsizing, changing one’s diet to combat cancer, and stacking on multiple jobs in order to make our monthly payments are all signs of strength, courage and the will to live. It’s these kinds of hopeful snapshots of courage that keep us engaged. Take these lessons seriously, don’t sit around and wallow in pity and denial, and you’ll be surprised how much stronger you will be at the end of it all. 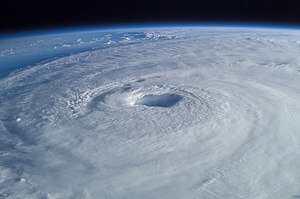 To all those going through a challenge like a hurricane now: STAY SAFE. Are We in a Constant War of Words? Stuck and Can’t Figure Out Your Next Move? OJ Simpson – WHAT’S YOUR FIRST IMPRESSION? Justin Loeber on Why Did I Write GET OUT OF YOUR OWN WAY GUIDE TO LIFE? Geri Spieler on Why Did I Write GET OUT OF YOUR OWN WAY GUIDE TO LIFE?